1. Are PREPARED. Read the job description thoroughly and use this to anticipate the core competencies the recruiter is looking. You can then use this information to prepare a list of the questions you may be asked. Do your research to find answers to the questions you may be asked, good answers should last between 30 seconds and two minutes, so answers should be only three bullet points or less. Next, practice, beg, bribe or threaten your nearest and dearest to act as interviewer and formally ask you the questions you have prepared and provide constructive feedback. Prepare answers that use real examples of how you demonstrate this competency in your current role. 2. Research the company - Find out all you can about the job and the organisation, use the internet to research the company and if you can, talk to people who know the job and organisation. RecruitIreland.com provides profiles on many of the employers that advertise on the website and the list of those is available in the “Who’s Recruiting” section. 3. Know where you are going! Look up the exact location, get directions, practice the route, take into account any traffic delays you might encounter. You do not want to add to your stress levels by running late for an interview, and nothing makes you look like you don’t really care like turning up late. 4. Iron, wash, polish! Your appearance is crucial, a crumpled shirt or chipped nail polish is a distraction for an interviewer and will create a negative impression before you even begin your interview. 5. Prepare a list of questions. 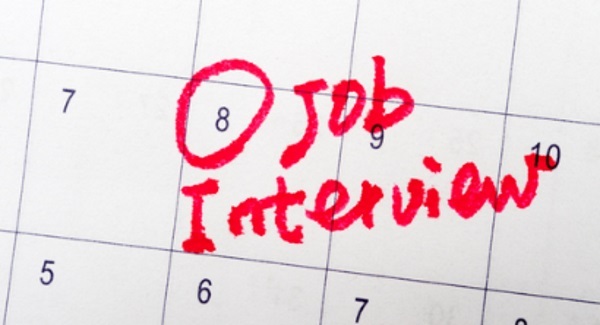 The best-prepared candidate has a list of questions about the job and company. A list of relevant questions makes you look interested in the finer details of the position. 6. Look confident. Make eye contact with the interviewer(s). Greet them with a firm handshake; this makes you appear confident even though you may not feel it! 7. Sell yourself. Remember this is your opportunity to show your good points to the interviewers. So have a list of your strengths to include into your responses in the interview. 8. Say thank you. Remember to thank the interviewer(s). Even if you feel it hasn’t gone well, you will always want to leave on a good impression and thanking people for taking time out of their day to meet with you will help with this. 9. Get feedback. So you didn’t get the job. Once you get over the disappointment you should definitely ask for feedback. It might be hard to hear but it will give you tips to work on for future interviews.